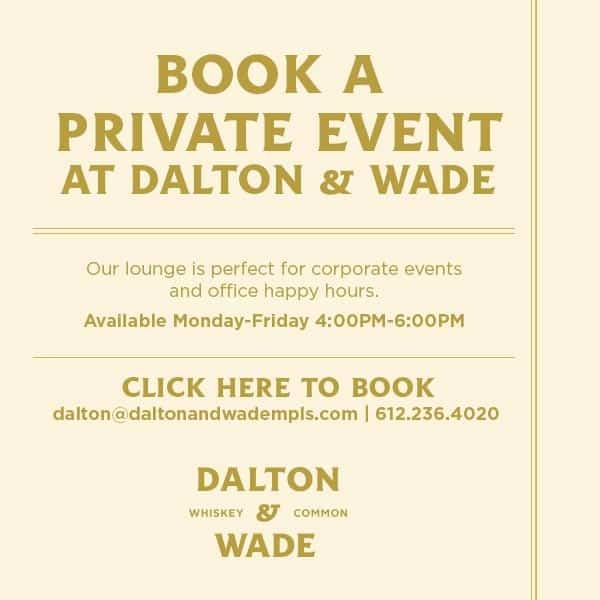 Dalton & Wade is a new restaurant and whiskey bar in the Minneapolis North Loop district. Dalton & Wade has a straightforward menu features country-style home cooking, smoked meats that fall off the bone, and the sides you grew up eating at Grandma’s dinner table. Whether you’re looking for a new take on an Old Fashioned or a tall can of Budweiser, they’ve got you covered. But as a whiskey common, more than 200 bottles of American whiskey are proudly stocking the shelves. Come by and pull up a stool and say hi. We’re ready for you.